The Akshaya Patra Foundation is a not-for-profit organisation headquartered in Bengaluru, India. The organisation strives to fight issues like hunger and malnutrition in India. By implementing the Mid-Day Meal Scheme in the Government schools and Government aided schools, Akshaya Patra aims not only to fight hunger but also to bring children to school. 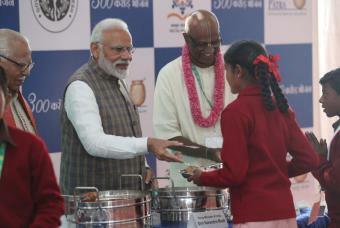 Today, Akshaya Patra is the world’s largest (not-for-profit run) Mid-Day Meal Programme serving wholesome food every school day to over 1.76 million children from 15,024 schools across 12 states in India. On 28 November 2001, the Supreme Court of India passed a mandate, "Cooked mid-day meal is to be provided in all the Government and Government-aided primary schools in all the states." And, Akshaya Patra was also called upon to provide testimonies to the Supreme Court. 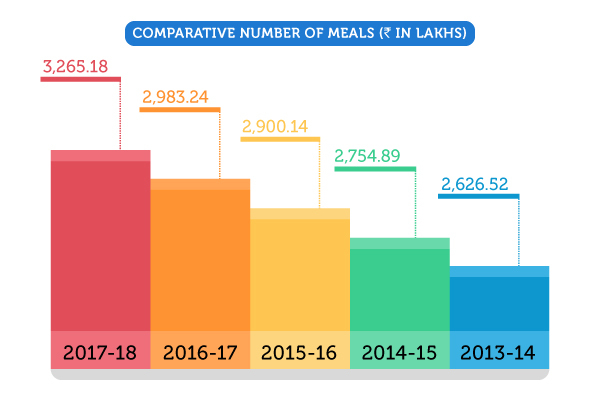 Today, Akshaya Patra has 43 kitchens spread across 12 states in India, a result of the successful partnership with the Government of India, various State Governments and generous supporters.